In the first of a series of features, a look at how the Indian all-rounder has evolved into a potent weapon for Virat Kohli. With the Indian cricket team playing a large number of One Day Internationals in preparation for the 2019 Cricket World Cup, The Field will take a look at a significant talking point about how the squad is shaping up after specific milestones. In the first part of the series, the focus is on the man who’s emerged as the missing link in Virat Kohli’s quest for balance. On his Test debut in Galle in July, Hardik Pandya bowled 3 overs in the first Sri Lankan innings. In the second innings, he bowled 7 overs. From the outside, it seemed like a pitiful investment – an all-rounder included in the eleven, but only bowling 10 overs despite the flat nature of the wicket, not to mention batting as low as No. 8. The team management, however, was convinced about his utility with both bat and ball, if and when needed. That last phrase is the crucial pointer here. A wonderful story emanated from the Indian camp after the second Test in Colombo. After Galle, it was obvious that Pandya wouldn’t get many overs on slow and turning pitches. Even so, he wanted to make a lasting impact. For this purpose, he worked closely with bowling coach Bharat Arun on skills requisite to bowl for the turning track laid out. For two days leading up to that SSC Test, Pandya practiced off-cutters during practice, sharpening this particular weapon in his armoury. They even worked in the nets whilst India batted on day one. Duly then, Pandya dismissed Kusal Mendis later on day three, breaking the 191-run stand with Dimuth Karunaratne as well as Sri Lanka’s resistance. And yes, he had used that off-cutter. “He is not afraid of trying different things. He is always eager to learn,” said Arun. Cut to 2013. India had just won the Champions Trophy in England. It was the perfect launch pad for preparations for the ensuing World Cup in Australia-New Zealand in two years’ time. Even in victory though, that tournament impressed upon then-skipper MS Dhoni the need for a reliable fifth bowling option. The advent of two new balls had rendered his spinners and most-effective part-timers moot. He needed to find balance in the side. “We realised at that point that an all-rounder was needed to provide the X-factor. You look at all successful teams and they have someone who bats at No. 6 and can bowl a few overs, whether at home or abroad,” Saba Karim told The Field. “We were looking more for a batting all-rounder keeping the ODI format in mind. So we looked at Stuart Binny before the 2015 World Cup. Afterwards, we experimented with Rishi Dhawan on the Australian tour (2016) and we even considered Vijay Shankar (Tamil Nadu) but he got injured in between,” added the then-selector, of India’s keen search to answer the ever-present all-rounder question. Binny proved useful in Test cricket, whether at home, or in England and Sri Lanka. In the shorter formats though, he found little success, and continued to be a traveller on most tours, including the 2015 World Cup. Later, in 2016 against Australia, Dhawan found the gap between IPL and international cricket a tad too much to handle. Somewhere in this passage of time, the selectors had inadvertently found what they were looking for. “It was in the 2015 IPL that Hardik caught our attention. He clobbered Kolkata Knight Riders (61 off 31 balls) out of the park. He could bowl with decent pace too. It was a wonderful sight. We thought that he could be a good all-round bet for India. Since then we had an eye on him and incorporated him into the national side for the T20Is in Australia (2016) with an eye on the World T20,” said Karim. At that point in time, Pandya was raw. Through his performances across Australia, Asia Cup and the World T20, it was plain obvious that he needed to evolve a lot more to have any chance of finding success in the longer formats. In the shortest format, he could get away with being a bits-and-pieces player, doing specific jobs – like bowling a splendid last over against Bangladesh in that nail-biting contest at Bengaluru. ODIs, and Tests, require more, a lot more. With this thought in mind, after an inconsistent 2016 IPL, Pandya was left out of the Indian team for the limited-overs’ tour of Zimbabwe. The Test squad seemed even further away, as he was relegated to India-A, touring Down Under with Rahul Dravid. 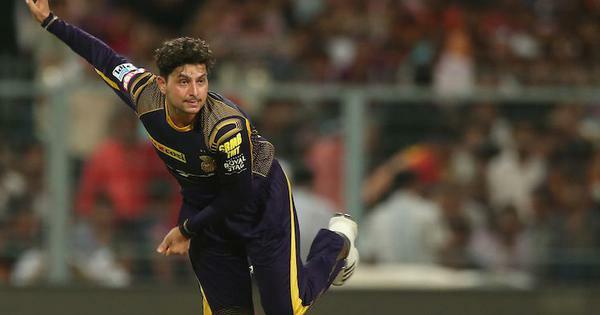 It was one of the last decisions taken by Sandeep Patil’s selection committee, of which Karim was a continued presence, and it could turn out to be one of the most vital ones in Indian cricket’s recent history. “We felt he was not ready for ODI or Test cricket, simple. We felt that Hardik needed to grow in maturity and discipline,” said Karim, recalling the decision to relegate Pandya to India ‘A’. Discipline, mind you, not on the field alone. “To be an international cricketer, you need more than just the ability to spend time on the field. There is so much more to the off-field aspect than young cricketers can imagine. It is about inculcating discipline and shutting off from distractions. It is about developing a greater work ethic, not just on the field, but also off it. We felt that he needed to be mentored, and thought that spending time with Rahul Dravid would help him do that,” Karim further explained. That tour has turned out to be a turning point for Pandya, and it is now a certified blueprint for the selectors to hone other upcoming youngsters as well. After Dravid’s tutelage, they arrive on the international scene as finished products. The mentoring process still hasn’t ended of course, under the watchful eyes of Anil Kumble earlier and Ravi Shastri now, and with a certified work-ethic specimen like Kohli as captain. For Pandya in particular, this journey has been one of self-realization when thrown to the deep end of international cricket. From failing to finish a 243-run chase against New Zealand in Delhi (October 2016) to driving Australia to exasperation recently, Pandya has exhibited a propensity to play the situation. By his own admission, it is a lesson that has trickled down to him from Dhoni, and is now assimilated in his system. What is then the standout difference between Pandya and others, like Binny and Dhawan? “Stuart was an excellent batsman, but his bowling was not up to the mark. He lacked in pace and could only prove useful in favourable conditions. Dhawan perhaps felt the pressure more. It all contributes to whether you grow as a player or not. Success at international level gives you more confidence and channels you further towards winning games. I think that has been the case for Hardik, and he evolved wonderfully in the past one year,” said Karim. Pandya belongs to India’s nascent breed of ODI cricketers. The Indian Premier League has endowed certain starlight upon them. They have dazzled on the stage afforded, and their horizons broadened by rubbing shoulders with elite international players. Jasprit Bumrah, Manish Pandey, KL Rahul, Yuzvendra Chahal, Kuldeep Yadav, Axar Patel, and Pandya of course – all of them owe this spotlight to the IPL. In some cases, like Pandey’s, it has been a slow process since first bursting onto the scene in 2009. Others have had a swifter progression – Rahul, Yadav and Patel. Then, there is fast-tracking owed to certain requirements from the management. Bumrah and Chahal are prime examples. Pandya is an amalgamation of all the above three facets. All-rounder wanted – a bleeding obvious requirement: check. Thrust into limelight on account of IPL performances: check. A gradual inclusion in the longer formats: check. Line them all up together, and you can even club these youngsters as per their existential traits. Rahul, Pandey, Chahal and Patel need to consistently work their socks off to earn a spot. Bumrah and Yadav are more specialized. The former is a yorker-specialist, having learnt from the very best, Lasith Malinga. The latter, well, he is a rare commodity – a chinaman bowler, arguably the most difficult form of spin a batsman can face. While the likes of Virat Kohli, Rohit Sharma, MS Dhoni, Bhuvneshwar Kumar, Umesh Yadav, Shikhar Dhawan and Ajinkya Rahane form the nucleus of India’s ODI team, this young lot forms the secondary core. They are being consistently afforded chances to shine on the international stage, gaining experience with the long run in focus. For, the Indian team management has bet its preparations – and ambitions – for the 2019 World Cup in England on them. Pandya, again, stands out, for he is the optimal equilibrium between these two groups. He has the assuredness of the seniors, whilst also the chutzpah of the juniors. Like Dhoni, Kohli and Sharma, Pandya knows he belongs on the international stage. Like Pandey, Chahal and Bumrah though, he also knows he must continuously evolve too. Pandya is explosive, but is also learning how to drop anchor. He is an extravagant character – flashy mobile phones, in-your-face persona, flamboyant hairstyles and those gaudy gold-blue Mumbai Indians’ gloves with the bat in hand. Yet, he belongs, here and now. With the ball, there is still a job to do, a potential that must be realized. Cut to the 2017 Champions Trophy. Kohli started the tournament fielding only one spinner, and ended it relying heavily on Kedar Jadhav. Somewhere between the fantastic-yet-budding Bhuvneshwar Kumar-Jasprit Bumrah partnership, and Pandya’s inability to complete his ten overs, India lost the identity of their first-choice attack. There has been a keen effort to restructure his bowling options since. Wrist spin is a consistent flavour herein, so is the continued absence of both Ashwin and Jadeja. The Kumar-Bumrah combo has transcended expectations. Pandya, however, still remains the most vital cog. He is quite adaptable, willing to open the bowling when called upon. Yet, he has only done it 6 times in 25 innings, the last instance in Dambulla in August. Of course the success of India’s new-ball pairing has played a role in this. And so, the next contention obviously is Pandya’s completion of overs. Surprisingly, he has only bowled his full quota on five occasions thus far. At times, he has a tendency to be expensive, like in Bengaluru against Australia. At other instances, Kohli has used a variety of options, and denied ten overs to Pandya, like the fifth ODI against Sri Lanka in Colombo. It underlines the team management’s thinking at present. While this is an aspect where they are keen to see Pandya rise on his own, they do not want to unnecessarily push him, instead only considering it a step-by-step evolution. “He is getting there slowly (bowling a full quota), considering it is also taxing on his body. He hasn’t played much First-Class cricket. To handle the workload, it demands him to get fitter and stronger with tremendous focus on work ethics, if he has to play all three formats,” said Ravi Shastri, in a chat with The Field, about the all-rounder. “One thing that is pretty clear is his obvious talent. We have seen how explosive he can be. He is still very young, so he will learn. He is bound to get stronger. That will help him to play across all formats and be part of all three disciplines. But it is still a learning curve for him and we have to be careful how we use him, what his workload is, and in which format do we need him more. We will have to be smart there,” the coach added. Against Australia then, Shastri provided another dimension to Pandya’s all-round growth – No. 4, the responsibility to drive the Indian innings. Despite two explosive knocks in Indore and Bengaluru, at this juncture, this move is still up for debate. The underlying point though is his growing influence in the dressing room, evolving from a bits-and-pieces player, to a prospective all-rounder, and an enforcer now, all within one year. Sure, there are a couple questions still remaining to be answered. Yet, as the Men in Blue have begun early on the road to 2019, Pandya has already crossed a long pending item off India’s to-do list – the quest for balance.